LOS BAÑOS, Philippines - The CGIAR Research Program on Rice (RICE) has adopted a new structure that will strengthen its impact delivery beginning with its proposed second phase in 2017. This week at the headquarters of the International Rice Research Institute (IRRI), during its annual meeting, the oversight committee of the Global Rice Science Partnership (GRiSP) provided insightful recommendations for the second phase of RICE. According to Matthew Morell, IRRI director general, RICE will contribute to increased global food security and reduced poverty, while at the same time reducing the environmental footprint of the rice sector. “AfricaRice, IRRI, and their partners will collaborate under a common Africa Rice Strategy, which aims to boost the continent’s rice sector. By 2020, African countries aim to achieve 90% rice self-sufficiency.” Roy-Macauley is convinced of the crucial role that rice research needs to play in support of this objective. Based on the committee’s recommendations, RICE’s phase 2 proposal will be further developed and then submitted for funding on 30 March 2016 to CGIAR Consortium. Approval is expected toward the end of 2016 so that phase 2 can seamlessly start in January 2017. Chaired by Pascal Kosuth of the Agropolis Foundation, members of the GRiSP oversight committee include Masa Iwanaga, AfricaRice board of trustees (BOT), Lala Razafinjara (AfricaRice BOT), Rita Sharma (IRRI BOT), Kaye Basford (IRRI BOT), John Hamer (CIAT BOT), Kei Otsuka, (GRIPS), Luciano Nass (Embrapa, Brazil), Jan Leach (Colorado State University, USA), Ambrose Agona (NARO, Uganda), Shaobing Peng (Huazhong Agricultural University, China), Trilochan Mohapatra (IARI, India), Roy-Macauley (AfricaRice director general), and Morell (IRRI director general). The GRiSP program planning and management team is composed of Bouman, Abdelbagi Ismail (IRRI), Marco Wopereis (AfricaRice), Joe Tohme (CIAT), Nour Ahmadi (Cirad), Alain Ghesquiere (IRD), and Osamu Koyama (JIRCAS). CIAT = International Center for Tropical Agriculture; Cirad = Centre de coopération internationale en recherche agronomique pour le développement, France; Embrapa = the Brazilian Agricultural Research Corporation; IARI = Indian Agricultural Research Institute; IRD = Institut de recherche pour le développement, France;JIRCAS = Japan International Research Center For Agricultural Sciences; NARO = National Agricultural Research Organisation. LOS BAÑOS, Laguna – Three major agricultural research centers reaffirmed their commitment to the Global Rice Science Partnership (GRiSP) during the signing of the extension of its framework agreement. Signatories to the agreement, approved on 26 January, were Harold Roy-Macauley, director general of the Africa Rice Center (AfricaRice), Ruben Echeverria, director general of the International Center for Agriculture in the Tropics (CIAT), and Matthew Morrell, director general of the International Rice Research Institute (IRRI). Significantly, the framework provides an overarching agreement in which AfricaRice, CIAT, and IRRI will collaborate in the GRiSP program for the first time, GRiSP Director Bas Bouman explained. As outlined in the agreement, the three centers will collaborate and coordinate their rice research agendas as laid out in GRiSP. But each center takes a primary leadership role for overall research and development strategy and other GRiSP-related activities at a continental level: AfricaRice for Africa, CIAT for Latin America and the Caribbean, and IRRI for Asia. Roy-Macauley intimated the importance of a partnership framework—and a guiding document—on how the centers can work together not only on one project but on all projects and take opportunities where the center can respond with common objectives. "We need to put our strengths together,” he said. “We need to be very, very innovative about the type of partnership that we're putting together, and that's exactly what we're doing. “When you have ideas, you have people thinking, and you need to bring others along with you. I think the framework agreement is a tool that helps you understand where you want to go." "GRiSP has actually brought AfricaRice and IRRI closer together as partners,"Roy-Macauley added. "Many acknowledge that GRiSP has played a major role in engaging our scientists in a form of partnership. That's why we're thinking of improving it. Next week, for example, several IRRI scientists will attend the AfricaRice Science Week, where they do joint planning with our scientists. This is new and quite important." 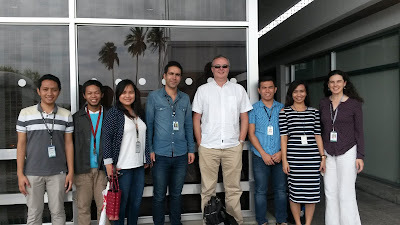 LOS BAÑOS, Philippines – Thierry Mathou, the Ambassador of France to the Philippines and Micronesia, visited the International Rice Research Institute (IRRI) headquarters recently (25 January) to gain a clearer understanding of the relationship between the government of France and the institute. IRRI Director General Matthew Morell welcomed the ambassador and his delegation. He provided them with an overview of the institute’s mission and acknowledged the contributions of the French government to rice research. One of the important points raised during the meeting was expanding France’s commitment to IRRI’s mandate. “We have to find ways to increase France’s contribution to IRRI research and forge a stronger partnership,” Mathou said. Morell appreciated Mathou’s sentiment. “More collaborative efforts between IRRI and the government of France as well as French institutions can help ensure food security in the not-so-distant future,” he said. During their visit, the party toured the International Rice Genebank and interacted with IRRI scientists. 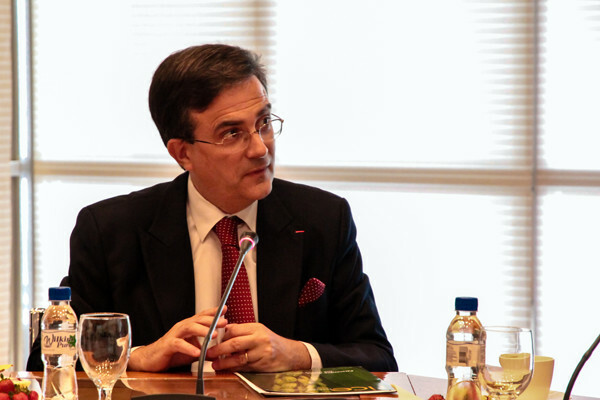 The French government has been a solid financial supporter of the institute. Since 1986, France has donated more than USD 11 million in support of various research projects and has provided unrestricted support through CGIAR. LOS BAÑOS, Philippines – On a hot, breezy afternoon on 21 January 2016, an international gathering of agricultural scientists and development officials dedicated the Lloyd T. Evans Plant Growth Facility (PGF) on the campus of the International Rice Research Institute (IRRI). 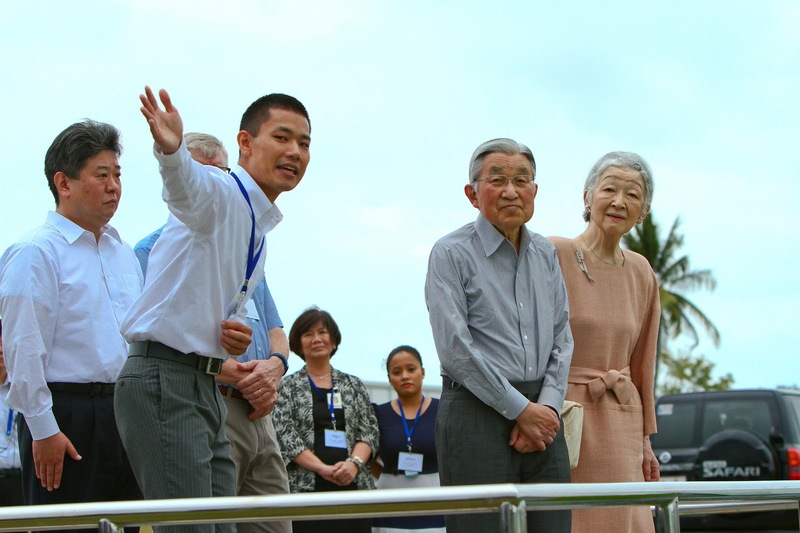 The opening of the USD 10 million state-of-the-art facility manifests IRRI’s commitment to better understand the effects of climate change on plant growth in the ongoing effort to achieve food and nutrition security for future generations across the globe. The Australian government, through the Australian Centre for International Agricultural Research (ACIAR), a major partner of IRRI, funded the PGF named after Lloyd T. Evans (1927-2015), a world-renowned Australian plant physiologist who also served as a member of the IRRI Board of Trustees (1984-89). During the dedication rites, IRRI Director General Matthew Morell said that, as a tax-paying Australian, he was happy to see his tax dollars put to excellent work. He added that the PGF will contribute greatly to IRRI’s plant breeding efforts, not only for irrigated rice, but also for the rainfed and unfavorable environments where the poorest and most underprivileged people live and where climate change will inflict its most dire effects. “It is not just a building for great science, but a building for great outcomes,” he predicted. Special guests on hand for the dedication included Fernando Sanchez, Jr., chancellor of the University of the Philippines Los Baños (UPLB); Amanda Gorely, the new ambassador of Australia to the Philippines; Mellissa Wood, general manager of ACIAR’s global operations; and John R. Evans, head of the Division of Plant Sciences, Australian National University and son of Lloyd T. Evans. Dr. Evans, who followed in his father’s footsteps as a plant scientist, spoke on behalf of the Evans family. “It is a great honor and a real personal thrill to be invited to the opening of this facility,” he said. “When my father was a board member here at IRRI, he encouraged evidence- and research-based decision making rather than gut feelings passed on in a traditional way.” He said that the PGF will carry on this model as it enhances researchers’ ability to capitalize on the fantastic advances of molecular biology and genome sequencing. After unveiling of the commemorative plaque, Abdelbagi Ismail, IRRI’s acting deputy director general for research, led guests and IRRI staff on a tour of the PGF, which contains eight controlled-environment glasshouses, a large set of controlled-environment walk-in and reach-in plant growth chambers, plant processing and potting laboratories, and a large seed processing and storage setup. It also features optimum environment-friendly management support systems that employ rainwater capture and storage, natural ventilation, and other energy-saving technologies. Climate change is a concern that cuts across the various areas of IRRI's research agenda. 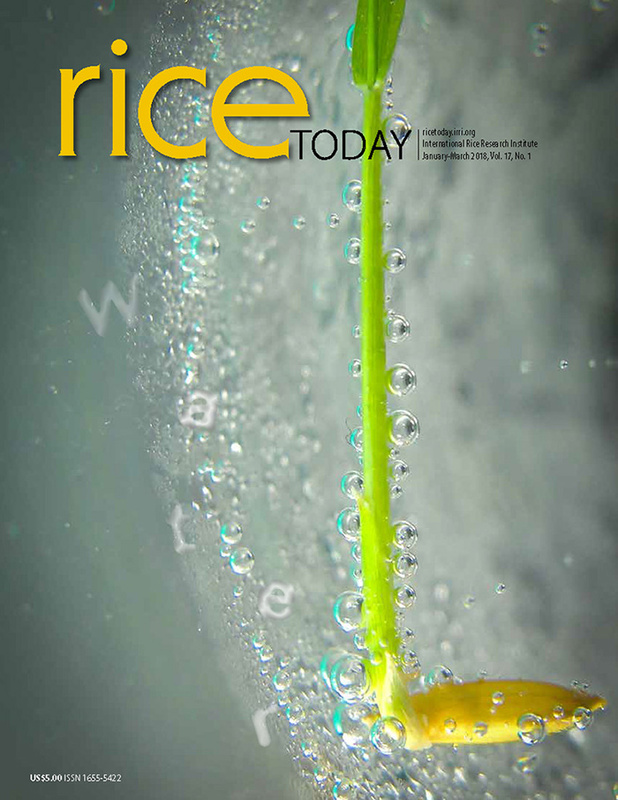 Knowing about its implications on rice production, via a better understanding of physiological processes and interactions in the rice plant when subjected to changing temperatures, humidity, amount of sunshine, and atmospheric gases, will help scientists develop even sturdier, climate-ready rice varieties and improved farming practices. Educating the upcoming generation of future leaders in rice science is one of IRRI’s major strategic goals. It is thus hoped that the PGF’s cutting-edge array of scientific equipment will entice many bright graduates to build a career in the crop sciences. View a video playlist of the speakers and plaque unveiling. View 28 photos on IRRI’s flickr site. LOS BAÑOS, Philippines - The dedication of the Lloyd T. Evans Plant Growth Facility (PGF) on the campus of the International Rice Research Institute (IRRI), which will take place at 3 p.m. Thursday afternoon (January 21), emphasizes the Institute’s commitment to working toward food and nutrition security for future generations. IRRI’s leadership and very special guests will be opening the USD 10 million state-of-the-art structure, within which various climate scenarios can be simulated under controlled environmental conditions and the effects of climate change on plant growth will be better understood. The PGF was funded by the Australian government through the Australian Centre for International Agricultural Research (ACIAR), a major partner of IRRI. It is named after Lloyd T. Evans (1927-2015), a world-renowned Australian plant physiologist who also served as a member of the IRRI board of trustees (1984-89). The dedication rites will take place just one year after the official groundbreaking was held in January 2015. In addition to Matthew Morell, IRRI director general, and his leadership team, guests slated to attend and speak include Amanda Gorely, ambassador of Australia to the Philippines; Mellissa Wood, general manager for global programs at ACIAR; and John R. Evans, head of the Division of Plant Sciences at the Australian National University. Dr. Evans, son of Lloyd Evans, will share a message on behalf of the family. Philippine officials who will grace the event will be Proceso Alcala, secretary of agriculture; and Fernando Sanchez, Jr., chancellor of the University of the Philippines Los Baños. After the unveiling of the commemorative plaque, Abdelbagi Ismail, IRRI’s acting deputy director general for research, will lead the guests on a tour of the PGF. 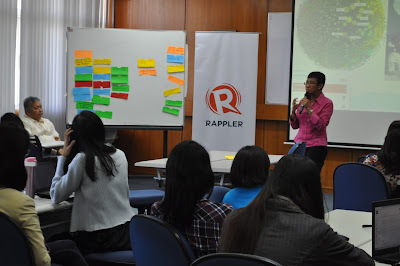 Climate change is a concern that cuts across the various areas of IRRI's research agenda. Knowing about its implications on rice production, via a better understanding of physiological processes and interactions in the rice plant when subject to changing temperatures, humidity, amount of sunshine, and atmospheric gases, will help scientists develop even sturdier climate-ready rice varieties and improved farming practices. Educating the upcoming generation of future leaders in rice science is one of IRRI’s major strategic goals. It is thus hoped that the PGF’s cutting-edge array of scientific equipment will entice many bright graduates to make a career in the crop sciences.